U.S. regulators are going after one of the most valuable tech startups for discriminating against Asian applicants. The U.S. Department of Labor filed a lawsuit Monday against Palantir, a data software startup said to be valued at more than $20 billion, for allegedly being biased against hiring Asian candidates. 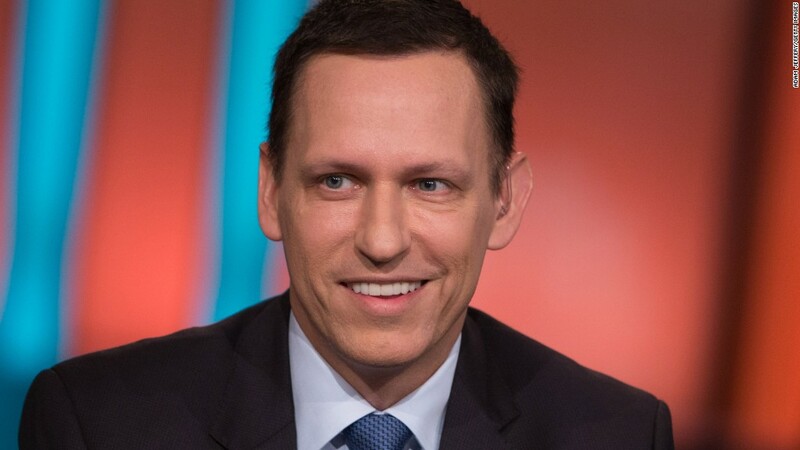 The secretive startup was cofounded by Peter Thiel, an investor and Facebook board member who has emerged as perhaps the most prominent Donald Trump supporter in the tech industry. Thiel is also known for backing lawsuits against Gawker Media, which forced the company to sell itself. According to the Labor Department lawsuit, Asian job candidates "were routinely eliminated in the resume screen and telephone interview phases despite being as qualified as white applicants." In one example highlighted in the suit, nearly three-quarters of the 130 or so candidates who applied for a position as a QA Engineer Intern were Asian, but Palantir hired 17 non-Asian candidates and only four Asian applicants. "The likelihood that this result occurred according to chance is approximately one in a billion," the suit says. In a statement, Palantir called it a "flawed statistical analysis" and pledged to "vigorously defend" itself. The suit was filed after the department conducted a compliance review of Palantir as part of its effort to vet those who do business with the government. Palantir contracts its data intelligence services to the U.S. Army and the FBI, among others. "Federal contractors have an obligation to ensure that their hiring practices and policies are free of all forms of discrimination," Patricia Shiu, director of the Office of Federal Contract Compliance Programs, said in a statement. "Our nation's taxpayers deserve to know that companies employed with public funds are providing equal opportunity for job seekers." "We are disappointed that the Department of Labor chose to proceed with an administrative action and firmly deny the allegations," a spokesperson for Palantir said. The lawsuit sheds a cold spotlight on the issue of discrimination, which has proven to be a headache for much of Silicon Valley in recent years. Facebook (FB), Google (GOOGL), Apple (AAPL) and other large tech companies have committed to releasing annual diversity reports to show their commitment to improving the representation of women and minorities, but the needle hasn't moved much. Silicon Valley remains primarily white and male. Like its peers in the tech industry, Palantir has talked up the importance of diversity. "We work every day to build a truly diverse workforce, and to foster an environment that is respectful and receptive to new ideas," according to a page on Palantir's website dedicated to diversity. "We celebrate difference and diversity -- of background, approach and identity."